Massachusetts State Rep. Carlos Gonzalez. State Representative Carlos Gonzalez, who is in his third term on Beacon Hill, leads the bicameral caucus. Kari Njiiri, NEPR: Full disclosure: we've known each other since the 1980s, working in college radio at UMass. Getting to the issues here for the Black and Latino Caucus this session — what do you see are the pressing issues? State Rep. Carlos Gonzalez: We are going to have a discussion about equitable education. And obviously, we know that the foundation formula is one of the key components of that discussion: how do we make sure that inner city, low-income communities are receiving the adequate funding to fund education? Because we know that's where the heart and soul of trying to defeat the recidivism of poverty is. When you see higher-income communities receiving the same amount — if not sometimes, per-pupil rate, more — than the city of Springfield, when we have more challenging students, we have more students that come from environments that need more wraparound services, we need to change that formula to adequately fund equal education for each child in the state of Massachusetts. And that's not happening now? It's not. We feel that the city of Springfield is being underfunded by approximately $90 million per year. What other issues are you looking to forward in this session? The general theme of what we are trying to come up — as we look at our legislative priorities, the overall theme is affordable housing. And that's not only affordable housing for specific communities. That's affordable housing for poor people, working poor, working middle class and folks that are going to hopefully not be removed from places that they've been living for many years, because of the costs of rents today. Another issue that's important is continuing the efforts in the work that we did on the criminal justice reform bills last term. And we need to make sure that when we incarcerate folks, we can help provide them an education, and a rehabilitation, to make sure when they come out, they can be hopefully successful citizens. The reform that's been enacted in the last year — has that not been enough? We don't think it goes as much as where we wanted it to go. We were able to successfully change some of the mandatory sentencing guidelines, but not to the degree that we wanted. But again, politics and government is an act of compromise, and we were able to get some of those steps. But we still have some work to do. In his first official legislative action of his second term, Governor Baker re-filed a pre-trial bail reform bill that will permit judges to consider someone's full criminal record when deciding whether to release them before trial, or hold him as a danger to society. What's your view on that? We know that bill has also come about from local officials asking for that, and we understand the challenges. I'm one that strongly believes that somebody does the crime, they need to do the time. However, there are some rules, there are some regulations, that for many years have not been equitably available to people of low income. So when you're looking at bail — if it's a person that will potentially commit a danger to himself, or herself, or to the community, there is [dangerousness] hearings that can be scheduled. And that is an option that's available today. I strongly believe that bail is to make sure that somebody will come back to the court date. It is not to be used as a punitive against people of low income. With the start of recreational marijuana, one of the Cannabis Control Commission's mandates was to make sure that communities of color had access to the industry, given that they were disproportionately impacted by the so-called War on Drugs. Has, in your opinion, the commission done that? The commission is still working on that. We are keeping a close eye on it. We are trying to assure that the licensing permitting process is available to everybody. More importantly, to me, and as a member of the Black and Latino Caucus, that we reap some of the financial benefits of ownership of some of this new industry. We haven't seen that across the country as much, and I've reviewed and talked to many folks, whether it is from California or Colorado, etc. And we want to make sure that doesn't happen here in Massachusetts. So we're trying to create workshops and trainings to make sure that folks that are interested — and if they have some challenges, that we can help them overcome — to make sure that they are the recipients of these licenses. We hope that happens sooner than later. The Black and Latino Caucus was formed — what, 46, 47 years ago — with seven members to voice concerns of the Bay State's communities of color. That caucus is nearly doubled, now 13 legislators of color on Beacon Hill. But the legislature is still overwhelmingly white. In fact, Massachusetts ranks in the bottom quarter of states for racial diversity in their legislatures. How do you increase the number of people on Beacon Hill? You know, what I believe is that we need to form more united effort between the members that are there today, so we can continue to support the efforts of other folks, in other areas, that are not covered to this day — by folks that have, you know, the skin color that looked like you and I, right? Now the issue that I've seen is that, I believe, many folks from the outside — like folks that are helping, whether it's minorities or women, diverse communities — come into the decision to run. But they're doing that only in areas where, already, folks of color are elected. So the hope is that we can do that in other areas, as well. And I'm not saying that we shouldn't be challenged, that we shouldn't have debates. We should. And if somebody is not doing the job, vote them out. However, we know there's a lot of territory to cover in this state. And if we can help and grow leadership in other areas, not only in the cities, where already some folks are elected, we'll do a better job in doubling that. In terms of the current leadership on Beacon Hill, do you think they're hearing the concerns of the Black and Latino Caucus? I believe so. I believe that for many years, we have made an impact to making certain decisions lean towards some of the issues that have been prioritized by the Black and Latino Caucus. I will say this as the new chairperson: I have no problems with working with leadership, challenging leadership or questioning leadership. It may be a while before they start passing bills, but lawmakers on Beacon Hill kicked off the 191st legislative session on Wednesday. It was more ceremony than substance as Massachusetts’ 200 legislators gathered at the State House to take the oath of office, administered by Gov. Charlie Baker. The body now includes 25 new state representatives and five new state senators. On Thursday, Baker will be sworn in himself for his second term by Senate President Karen Spilka. 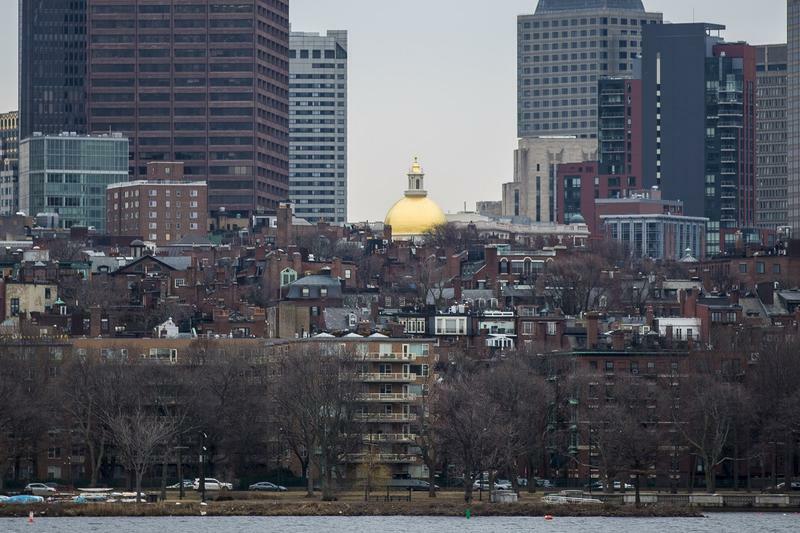 Invigorated and recharged from a quiet week on Beacon Hill last week, Massachusetts lawmakers are returning for budget debates.